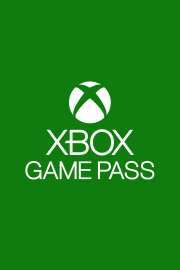 The Xbox Game Pass Trial key will be displayed on your screen immediately after payment, and will also be delivered to your e-mail, which was specified at the time of purchase. C Xbox Game Pass you will always have something to play. Find and download games that you have long wanted to play, including the legendary old editions in the highest quality, with no problems with streaming or connection. Enjoy the games of all genres, such as action movies and adventures, as well as family games, hard shooters and sports simulators. Do you like the game for Xbox One, which is in the catalog, and you want to purchase it? Buy it and save 20%, and get an additional 10% discount on any addition to the Xbox One game in the catalog. Xbox Game Pass - is access to the directory, in which every month new games are added. - Hover over the link of your account (in the upper right corner of the screen), a menu appears, click the "Activate code" button. - Click "Confirm" again to assign a key to your account. 2. Press the Xbox button to open the guide, then select Home. 3. Scroll right and choose the Store tab. 4. Choose Use a code. Все норм, код активировался. Хочу подарок.